General semantics is an approach to understanding how we relate to our environment, and a method for improving our ways of thinking, perceiving, acting, reacting, and interacting with our world and each other. Alfred Korzybski introduced general semantics in his 1933 book, Science and Sanity, characterizing it as a non-aristotelian system, intended to complement the non-newtonian physics and non-euclidean geometry associated with Albert Einstein's theory of relativity. 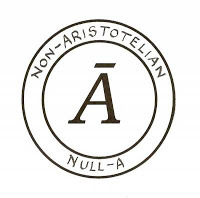 The term non-aristotelian can be represented by the symbol of the letter A with a line or bar over it, which signifies non-A or null-A. Korzybski founded the Institute of General Semantics in 1938 in order to further his vision of general semantics as a teachable discipline. In 1943, the Society for General Semantics was formed by S. I. Hayakawa, Wendell Johnson, Irving J. Lee, and other scholars interested in general semantics as an academic subject for fields such as English literature, composition, communication studies, linguistics, anthropology, psychology, philosophy, etc. Human beings are mapmakers. We take in a limited amount of information about our environment, construct mental maps to guide us in our day-to-day activities, and share those maps with others. The maps that we make will always be incomplete, selective, subjective, and inevitably misleading in one way or another. The problem is that we frequently think and act as if our maps are entirely accurate, faithful representations of our environment, so much so that we even forget that they are maps in the first place, and treat them as if they were identical to our environment. We build up expectations about our world based on how our world is depicted in our maps, and we expect the world to conform to those expectations. We give names to things in our environment, and assume that naming is the same as understanding. 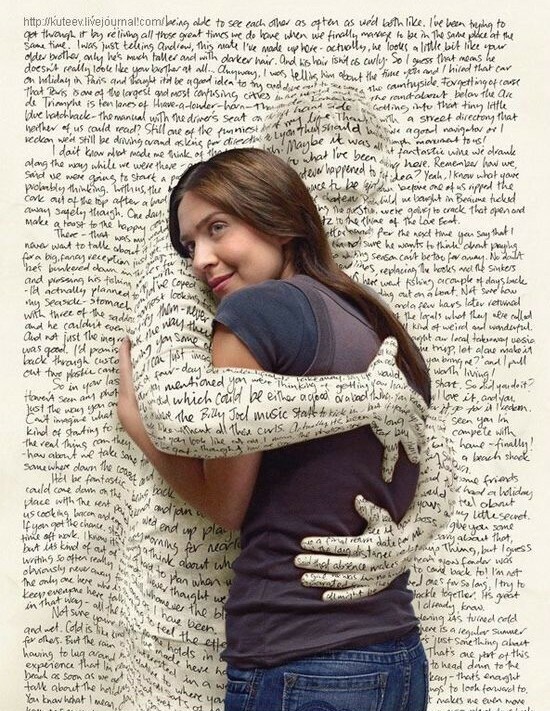 We use words to represent things in the world and then react to those words as if they were the things themselves. We devise symbols to represent bits and pieces of our world, and then respond to the symbols much like Pavlov's dogs responded to the sound of a bell. The map is not the territory expresses one of the core truths of general semantics, an idea that is at once obvious, and yet, somehow, we typically act as if we are totally oblivious to it. Along similar lines, we say, the word is not the thing it represents. And it is also true that the image is not the thing it represents. The Belgian surrealist artist René Magritte famously expressed this understanding in a painting entitled The Treachery of Images, produced circa 1928-1929. 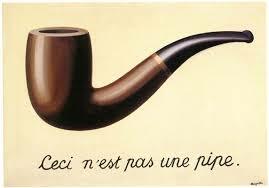 The English translation of the French language statement that appears below the image of a pipe, Ceci n'est pas une pipe., is, This is not a pipe. This same dynamic even applies to sense perception. 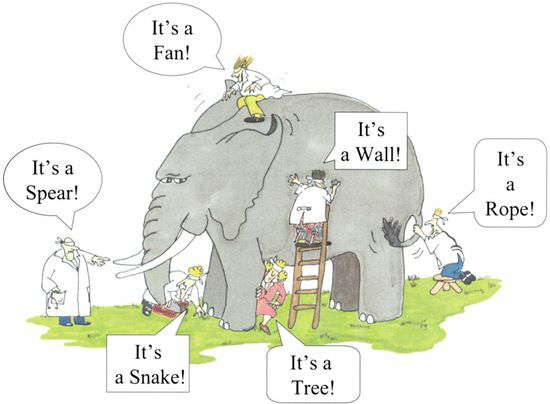 Our perceptions are not the things we perceive. Our senses can conceal or mislead. 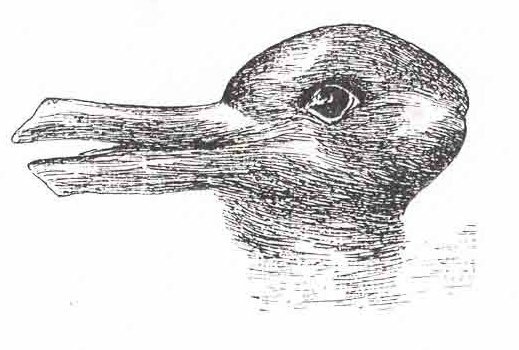 The classic example used by Wittgenstein is the Rabbit-Duck illusion. Is it a rabbit? Is it a duck? Can it be both at the same time? Can there be such a thing as a RabbitDuck? Or maybe it's neither? Ceci n'est pas un lapin ou un canard? Or remember this more recent example? 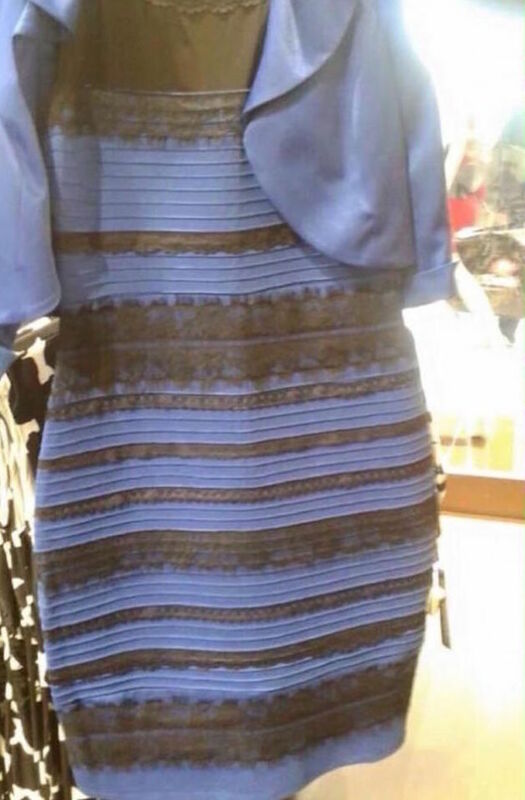 Some see the dress as black and blue. Others see it as gold and white. Optical illusions are extreme examples. But they serve as reminders that there is always a difference between perception and reality. Remember Plato's Allegory of the Cave? A group of captives have spent their entire lives facing a wall inside a cave, only able to see the shadows of things as they are reflected on the cave wall. They give names to the shadows on the wall, and talk about them as if they are actually things, rather than shadows of things. As far as the captives are concerned, the shadows are reality. 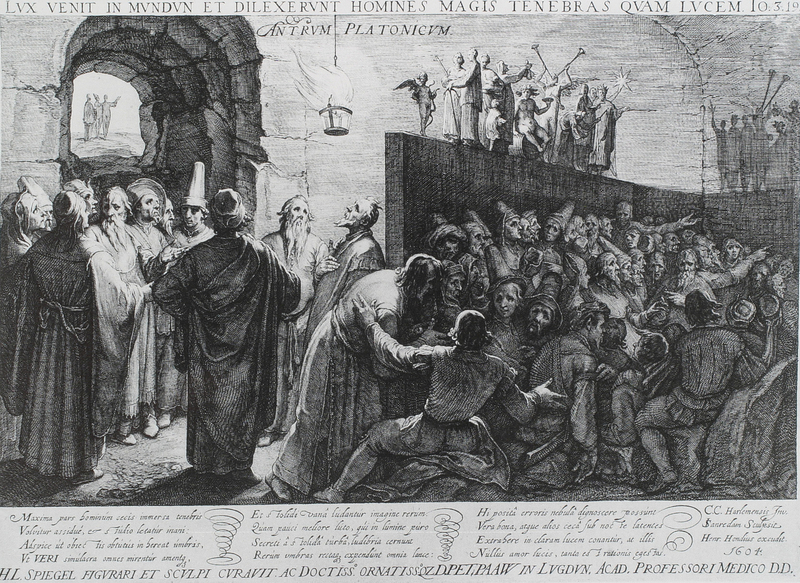 The allegory goes on to relate the difficulty that one of the prisoners would face if freed and taken out into the sunlight. He would be blinded at first, and reluctant to accept the direct objects of perception as closer to reality than the shadows. Having finally acclimated, the sadistic captors return the prisoner to his fixed position inside the cave. Blinded again by the return to darkness, the other captives conclude that it is best to remain where they are, and that they would resist any attempt to free them. Remember the parable of the blind men and the elephant, which comes to us via folklore from India? Each individual touches a different part of the elephant, and comes to a different conclusion as to its true nature. The 19th century American poet, John Godfrey Saxe, rendered the folktale in poetic fashion, observing that, "each was partly in the right, and all were in the wrong!" 1. Non-Identity. Words are not things, maps are not territories, symbols are not referents, perception is not reality. And there are no identity relationships in nature. No two things are entirely identical to one another. Nothing is entirely identical to itself, because the universe is dynamic, on the subatomic level everything is constantly in motion and in flux. Change is the only constant, but our language, maps, and perceptions give us the mistaken impression of stability and stasis. 2. Non-Allness. We can never say all there is to say about anything, a map can never depict a territory in its entirety, we cannot perceive all there is to perceive about our environment. 3. Self-reflexiveness. Some words refer to things, but there can be words about words, and words about words about words, etc. We can make statements about the word, and statements about statements, and statements about statements about statements, etc. We can communicate, communicate about communicating, and communicate about communicating about communicating, etc. A complete map would include a map of the map, which would include a map of the map of the map, etc. And it would also include the mapmaker, and the person using the map. Another favorite saying among general semanticists is, whatever you say a thing is, it isn't. Let's return now to the point we began with, that human beings are mapmakers. 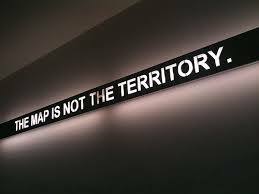 The map is not the territory, but it is a tool that can help us navigate a territory. Following the Principle of Non-Identity, we can acknowledge that all maps are not the same. All maps are not equally valid or useful. Some maps are more effective at helping us to navigate a territory than others. Some maps are better tools than others. In part, this depends on our own goals and intentions. One map of a city may be better for walking on foot, another for using mass transit, and another for driving by car. All maps are not created equally, so that some maps may be more accurate representations of their territory than others. While the map is not the territory, some maps may be closer in their relationship to their territory than others. In other words, some maps may be more similar in structure to their territory than others. The goal of general semantics is to help people construct more accurate maps than they would otherwise be able to create. And the goal of general semantics is to help people construct maps that are more helpful to them in navigating their worlds, than they would otherwise be able to create. 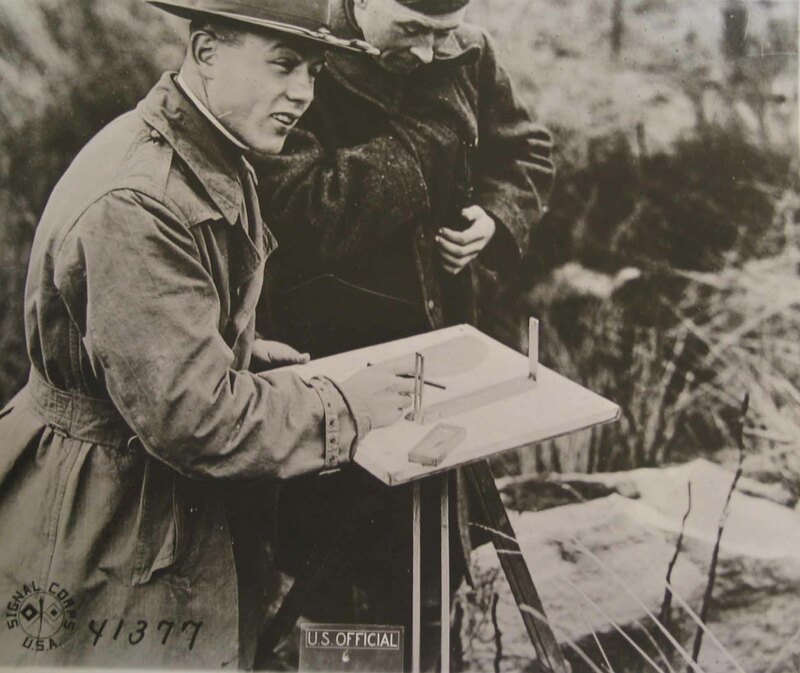 To do so requires an awareness of how maps are not the territory, an understanding of the process and constraints of mapmaking and the underlying structure or grammar of maps, and an ability to evaluate the relationship between maps and territories, to evaluate their accuracy and usefulness. And remember that when we say maps here, we mean all of the ways that we represent, talk about, think about, and perceive our environment. One of the main goals in general semantics is referred to as consciousness of abstracting. Korzybski created his structural differential to illustrate the process of abstracting. The broken parabola at the top represents reality, the break indicating that the reality we are situated in is only a part of a greater reality. This top level is referred to as the Event Level, as all that has objective existence in the universe are events in space-time. The strings descending from the holes symbolize the fact that we can only perceive a part of the reality we find ourselves in. To abstract means to take extract, remove, separate, or isolate a portion of something out of something greater. The circle is referred to as the Object Level, because we impose order and stability on our environment, transforming events into objects. The circle on the side represents animal consciousness, which only functions on the Object Level, whereas human consciousness has the capability of becoming aware of the Event Level, to become aware of what we don't know. The strings descending from the circle to the tag below it represent the next level of abstracting, which involves language. On this first level, language is used simply to give names to unique objects. Naming short circuits pure perception, as we stop experiencing the uniqueness of the object in the moment, and only pay attention to its name. The next level up in abstracting represents the use of language to place objects into categories, which means paying attention only to those characteristics that all members of the category have in common, and ignoring their individual differences. The categories we use can become increasingly more general as we continue the process of abstracting indefinitely, symbolized by the additional tags, the broken tag at the bottom, like the broken parabola at the top, indicating an process that can be extended indefinitely. The arrow pointing back to the Event Level from the higher levels of abstracting suggest a kind of feedback loop, as we interact with our environment based on our abstracting. Generally, the higher we go in the process of abstracting, the further away we move from reality, the more details we leave out or ignore, the more general categories we employ, and the increasingly more subjective we become. The goal of general semantics is not to abandon the activity of mapmaking. The goal is to help us to become better mapmakers. The goal is not to give up on using language, and return to some sort of prelinguistic state. The goal is to help us use language more effectively, and avoid mistakes due to its misuse. Language and symbolic communication make the human species unique. Language and symbolic communication are vital to our survival as a species. Human beings are a time-binding species. Through language and symbols, we can pass knowledge from one person to another. Through language and symbols, we can pass knowledge from one generation to the next. Through language and symbols, we are able to overcome the limitations of time, and thereby make progress. We build on the labor, the discoveries and innovations, the accumulated knowledge of our ancestors, of the generations that came before us. But our progress is not uniform. We make enormous strides in the areas collectively known as STEM, science, technology, engineering, and mathematics. But we do not achieve the same rate of progress in our social and cultural sectors, in politics and government, in international relations, in the struggle for peace and justice, in ethics and human rights, or on a personal level, in our relationships with others, and with ourselves. 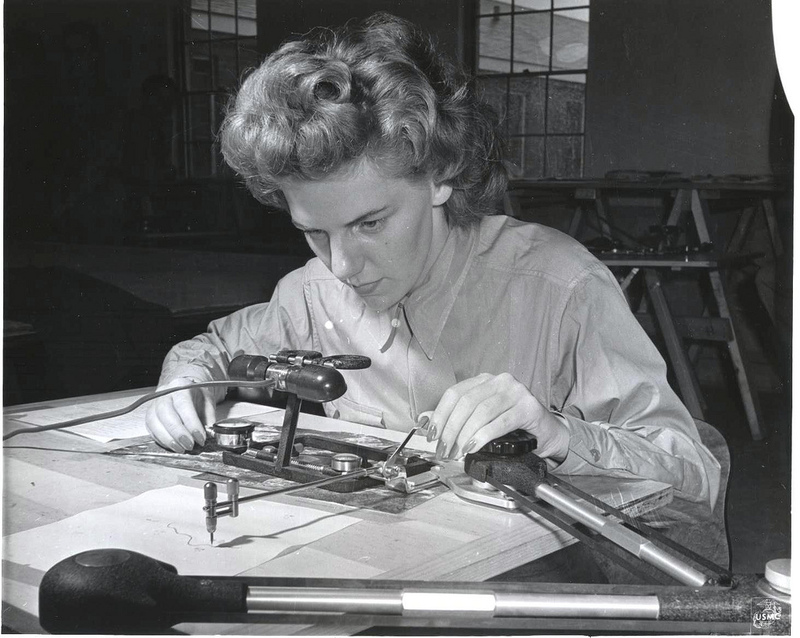 Science and the other STEM fields have proven to be extraordinarily effective in mapmaking, creating maps that have been enormously useful for a particular set of goals and purposes. General semantics draws upon their methods and approaches in an effort to improve our mapmaking abilities in all aspects of human life. Lewis Carroll sums it up very well. Can we master the words and symbols that we use, the modes of communication that we employ, the knowledge that we accumulate, the media and technologies that we invent? Can we master our own minds and our actions, individually and collectively? The answer is yes, and general semantics can help. Have the stakes ever been higher?